Sunday’s UFC Austin event is in the books, and now that the dust has settled in Texas, it’s time to go to the scorecard to see who the big winners were at Frank Erwin Center. Yes, the records are nice, with Donald Cerrone etching his name in the annals of UFC history by tying for most wins and finishes in the Octagon, but his win over Yancy Medeiros meant so much more for a fighter who needed a victory in the worst way. Yeah, I’d bet my house that Cerrone wouldn’t get cut if he lost four in a row, but guys like him don’t see things that way. To someone like Cerrone, every fight is a must-win, and he fights like it. And when you go out there with that mindset against the best in the world, things don’t always go your way. That’s the way the fight game is, and while Cerrone is only 34, he’s been at this for a long time, and you had to wonder if he was starting to hit that next stage of his career that no one wants to hit or admit to hitting. But Sunday, “Cowboy” was back against a dangerous opponent with momentum on his side, and the kid from Colorado showed up like he always has. And won. Back to business as usual. I don’t want to spoil anything here, but for all of Derrick Lewis’ jokes and laid-back Texas cool, he cares about performing and winning. So while he’s beaten bigger names than Marcin Tybura, he may look back one day at last night’s fight as a defining one for his career, and though we’re supposed to be objective, it’s hard not to be happy for “The Black Beast” as he turned the tide in the third and final round and delivered another big knockout win. And hey, I know it’s not Christmas yet, but can we start asking for Lewis for Francis Ngannou now? 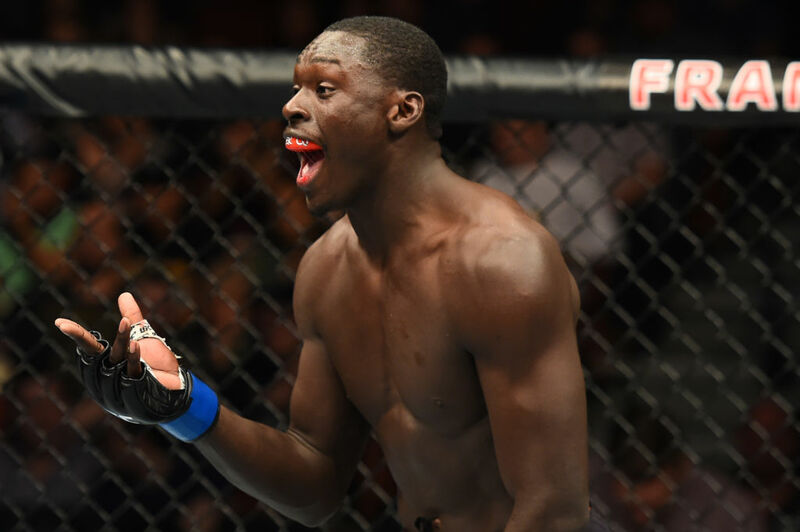 Like the arrival of Israel Adesanya earlier this month, the debut of Curtis Millender was greeted with a lot of hype and anticipation. And why not? Who doesn’t love a dynamic striker with plenty of clips on his highlight reel? And last night, like Adesanya, Millender delivered, but he may have one-upped the New Zealand-based Nigerian with a single strike finish of a former world title challenger in Thiago Alves. Millender had his ups and downs to get to this point, but over the last couple years, it appears that he’s hitting his stride at the perfect time. Stay tuned. When I spoke to Geoff Neal after he earned a UFC contract on Dana White’s Tuesday Night Contender Series, I asked if he went out and got a UFC hat and t-shirt and was walking around Dallas with it. He laughed and told me that he wouldn’t consider himself a UFC fighter until he won three fights in the Octagon. I say forget that, because after his first-round finish of Brian Camozzi, it’s clear that Neal is a UFC fighter. Now get that man a hat and t-shirt. A lot of fighters would have packed it in after the first round Lucie Pudilova had against Sarah Moras, but the Czech Republic native never stopped pushing to find a way to win, and she found it as she pounded out a three-round decision victory over the talented Canadian. Pudilova could arguably be 3-0 in the UFC after a close loss in her 2017 debut against Lina Lansberg (who has given Pudilova both of her MMA defeats), but she’ll take this two-fight winning streak and the realization that as long as she’s able to fight, she will.